Marks/Label: On box: Crosse & Blackwell, Soho Square, London, England. On sides of box: C&B. 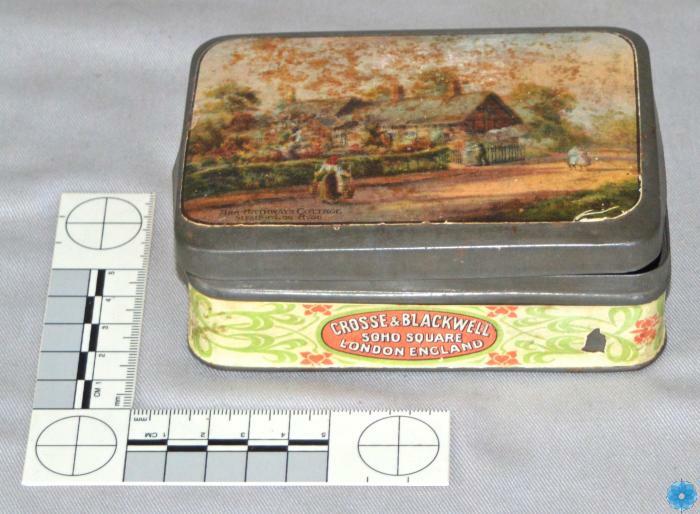 Description: A tin box with a painting on top of Ann Hathaway's Cottage Stratford on Avon. There is an advertisement on the box for Crosse & Blackwell, Soho Square, London, England. The initials "C&B" are on the sides of the box.